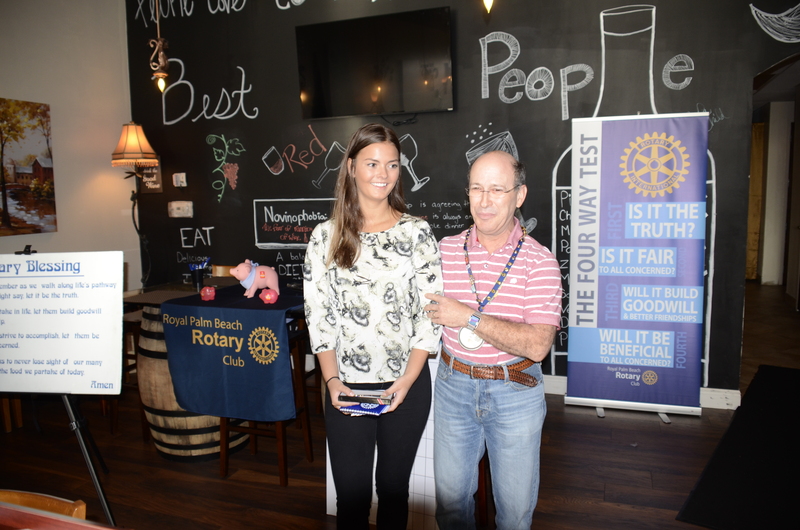 The Royal Palm Beach Rotary Club is proud to sponsor a Rotary Youth Exchange student from Denmark. Sille is a 16 year old junior and will be attending Royal Palm Beach Community High School for the 2015-2016 school year. She has joined the volleyball team and is a part of the Royal Palm Beach Interact Club. Rotary Youth Exchange is a study-abroad opportunity for young people who spend anywhere from a few weeks to a full year as an international student hosted by local Rotary club. For more information about the Royal Palm Beach Rotary Club, visit www.rpbrotary.org. For more information about Rotary Youth Exchange, visit www.ryeflorida.org.